Oman located on the Southern coast of the Arabian Peninsula is mainly a desert region. 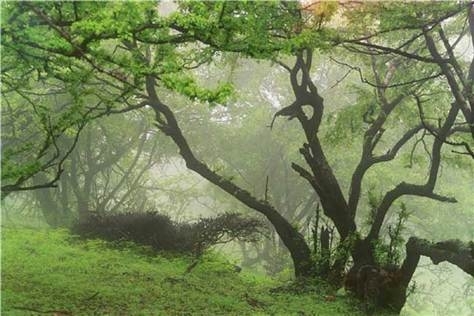 Besides some exceptions of which the coastal forest of Dhofar is an amazing example. During summer the southern part of Dhofar receives moist monsoon air masses, which are traveling northeast towards India. From June to September the southern ridge of the mountains and the coastal plain are covered with clouds and drizzle rain is frequent. Merged in clouds a unique ecosystem has developed: dense forests with endemic trees and epiphytes are gathered around springs, waterfalls and little streams. However the existence of the ecosystem is threatened. Livestock is overgrazing grassland of the coastal plain and also threatening the trees, of-road driving leads to soil compaction and increasing settlements disturb the fragile ecosystem.